After the first two sessions of the FIS Alpine Training Camp, it was really nice to be at home for Christmas with my sister, my parents and my grandparents. 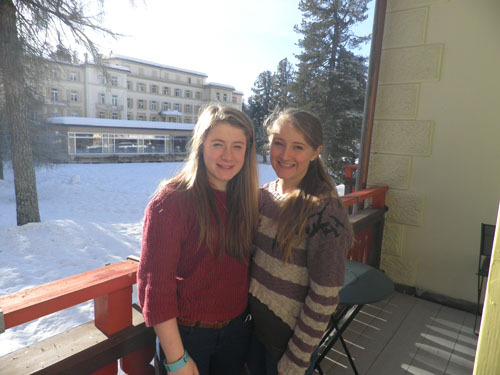 We had a lovely, traditional Christmas Day and Boxing Day and then went on holiday to Flims, in Switzerland the next day. Although it was a skiing holiday, it was nothing like training! I was able to have a lie-in every day and just ski for fun. On New Year's Eve the hotel we were staying in had a special black-tie dinner so I was able to get dessed-up for a change! I am going to school for the next couple of days until I leave again, on January 8th, to go back to the Camp.